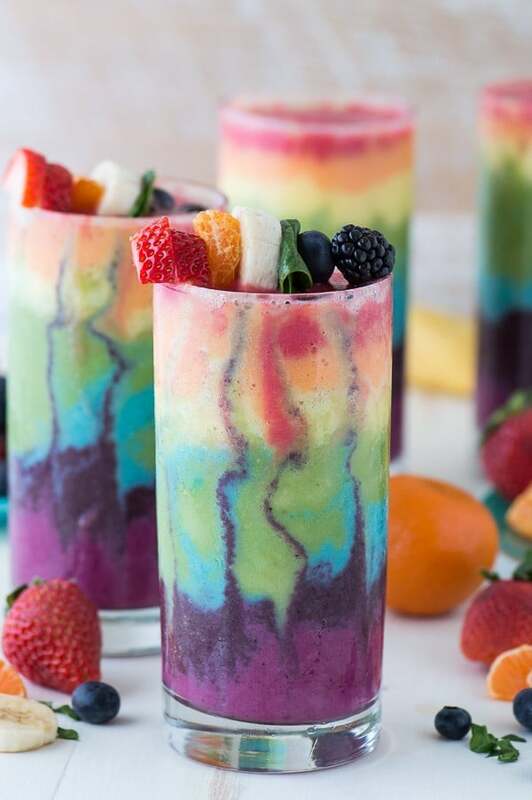 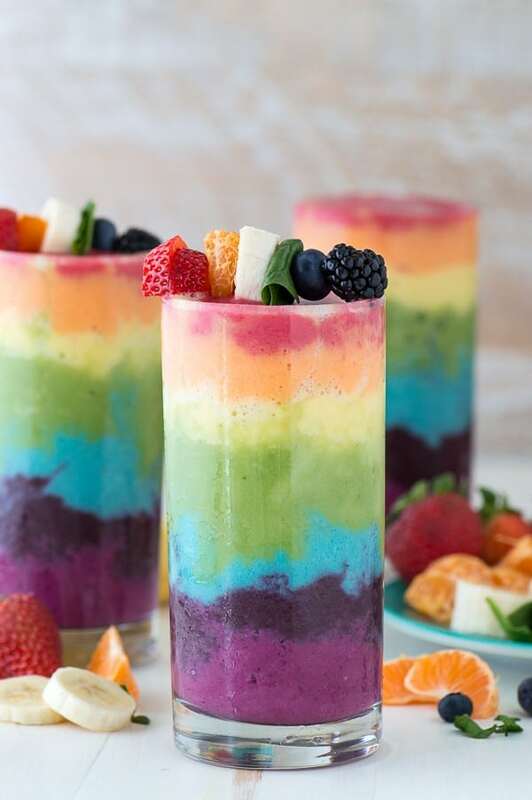 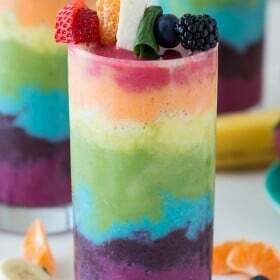 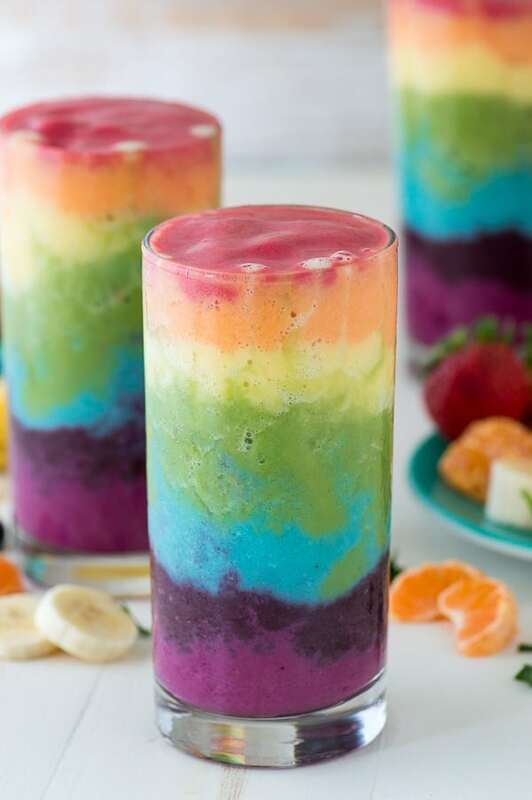 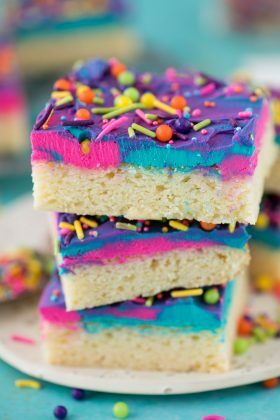 Rainbow Smoothie with a beautiful 7 layer rainbow! 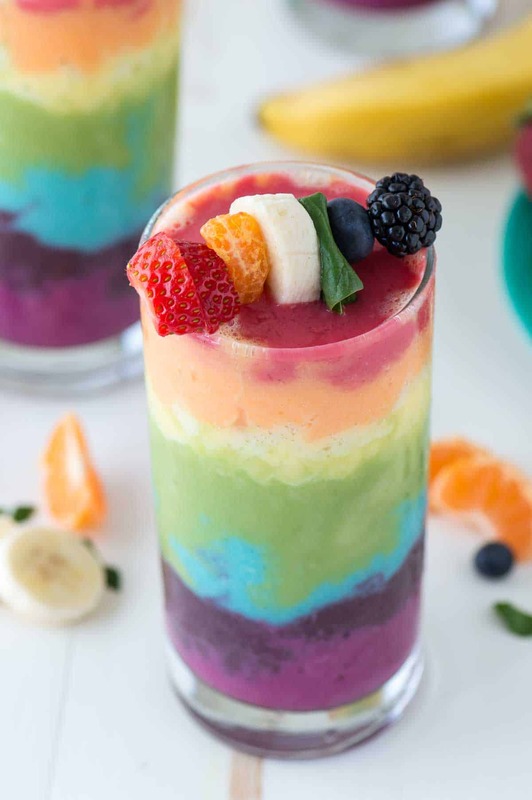 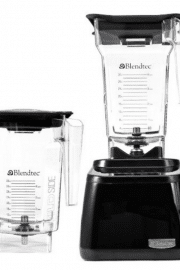 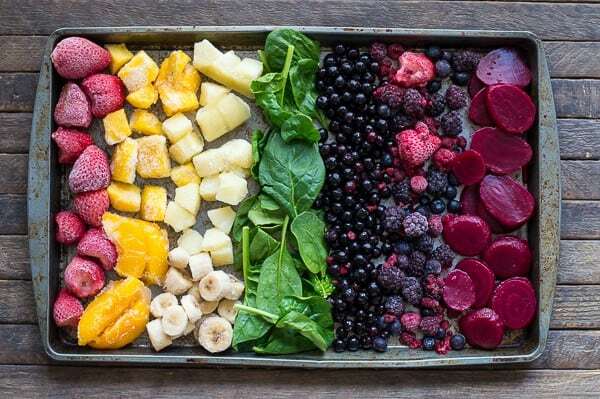 Full of tons of fruit and topped with a fruit skewer, it’s the ultimate rainbow smoothie! 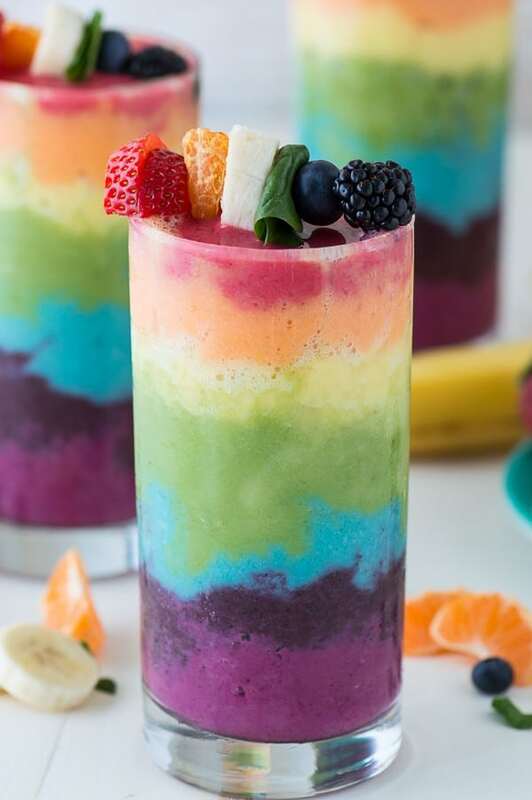 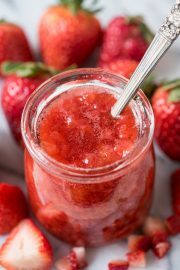 I was going to share this rainbow smoothie closer to St. Patrick’s Day, but I couldn’t wait any longer! 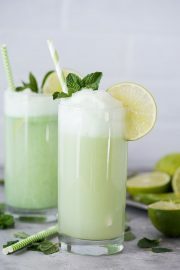 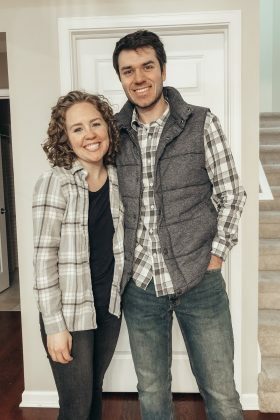 It’s so fun and makes me smile.